Providing a home for the wobbly ones can be an expensive venture. 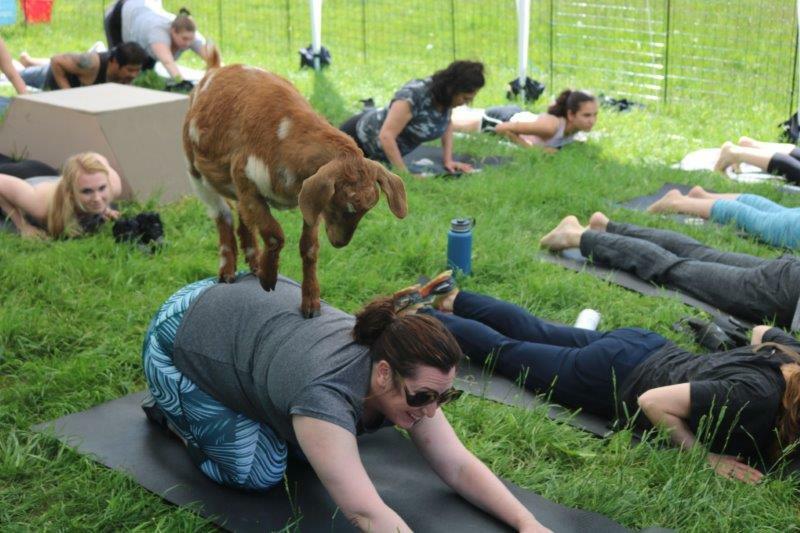 To help offset some of our cost we offer weekly goat yoga classes. This is an absolutely amazing experience! 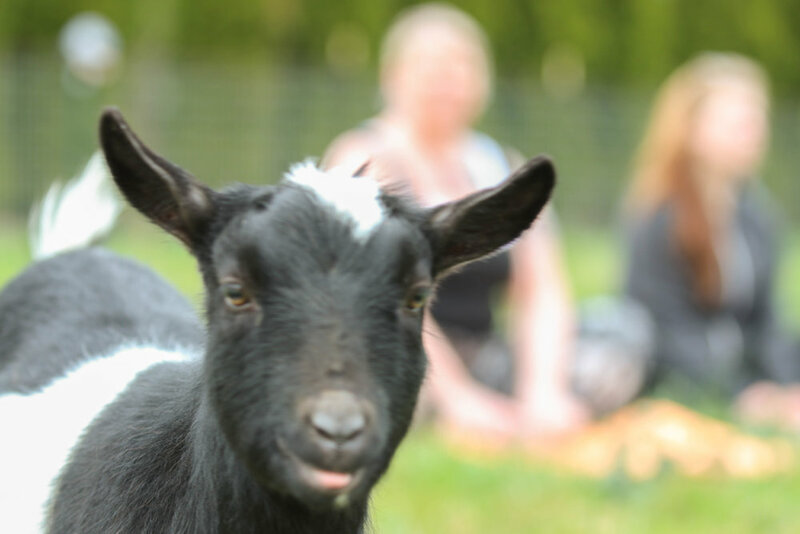 The goats love showing off their yoga moves and you will love spending time with them. Each session is about 2 hours. 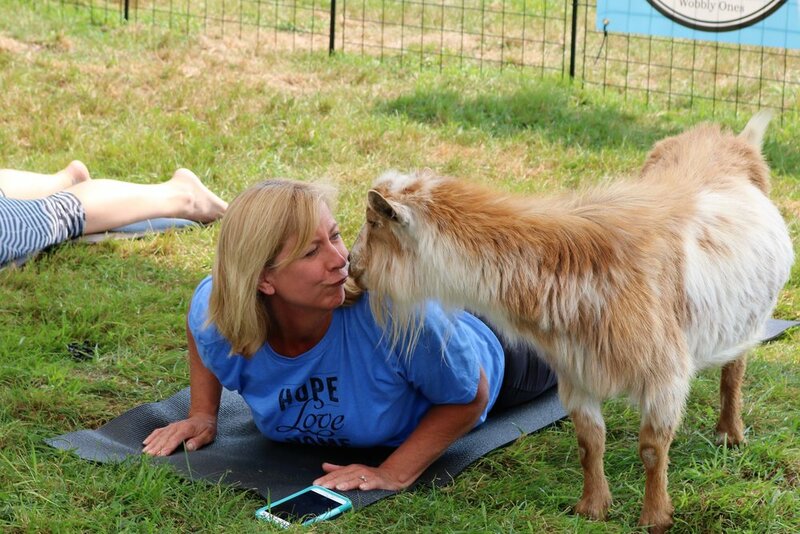 The first hour you will be led through a yoga class by one of our certified yoga instructors while the goats wander around (and sometimes ON!) you, perfecting your technique. The second hour you are welcome to stay and spend time with the goats, giving them all the love they deserve. We welcome kids 8 and older in our classes. Summer classes are held outdoors in our serene pasture. Winter classes are held inside our barn. We do not offer refunds on yoga classes. Please note- paid admission is require to participate, even if you are just here to watch. Golden Gardens Goat Yoga is offsite at our Seattle location.